Did your school have a school moto/crest? I am not going to suppose that all of you do but if you did have one, is it something that you can quote and recall at a moment? 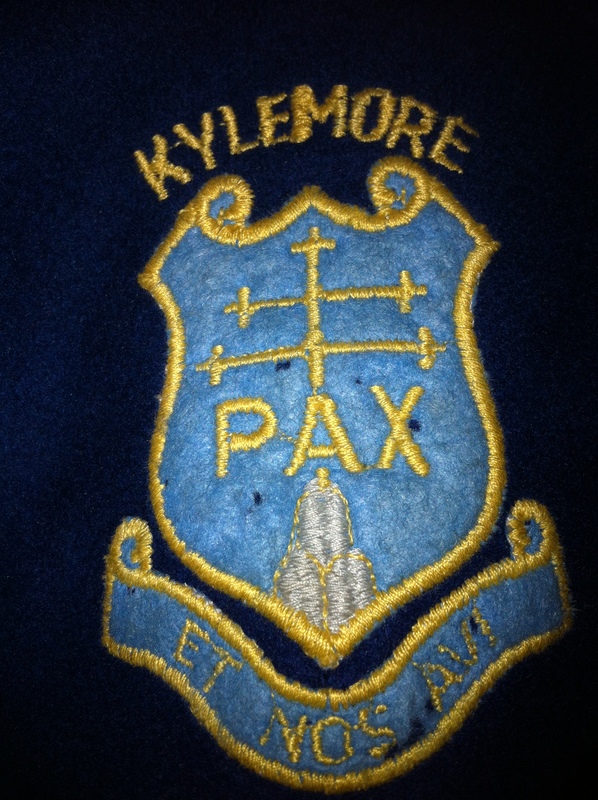 ‘Kylemore Abbey School for Girls’ did – I can’t tell you how many of us ‘K-Girls’ would have seen this crest over the years. Specifically the ‘Pax’ part remained with us – Pax (‘Peace’) being the motto of the Benedictine order. Our full school crest was ‘Pax et Nos Avi’ – but what did the ‘et Nos Avi’ mean? There are conflicting theories of the true grasp of its essence as there appears to be no clear translation. And so, I contacted the Community at Kylemore, and specifically the Abbess, Mother Maire Hickey, for more detail. As it turns out, there IS no clear translation – and for good reason – the motto capturing the essence of what Dame Scholastica, the original Head Mistress at Kylemore Abbey School in 1923, first conceived for the new school. For those not in the know, Kylemore Abbey School was founded by the small community of nuns that survived, having fled war torn Ypres in 1914. I can’t imagine what the ‘Irish Dames of Ypres’ must have experienced first hand in the battle torn city, and then the relief to settle in Connemara’s bleak yet beautiful landscape. I believe that ‘Pax’ couldn’t have been a more poignant and powerful motto at that time. But Dame Scholastica’s thinking I am told, was that something needed to be added for the new students that would be educated and excel at Kylemore. And so, have we lived on to fulfill this? I can only let others be the judge of that…………..